I am so happy Spring is just around the corner. We love to cook out and have friends and family over when the weather is nice. If we are doing the standard burgers and fries, then I always have to make my Homemade French Fries to go along as a side. 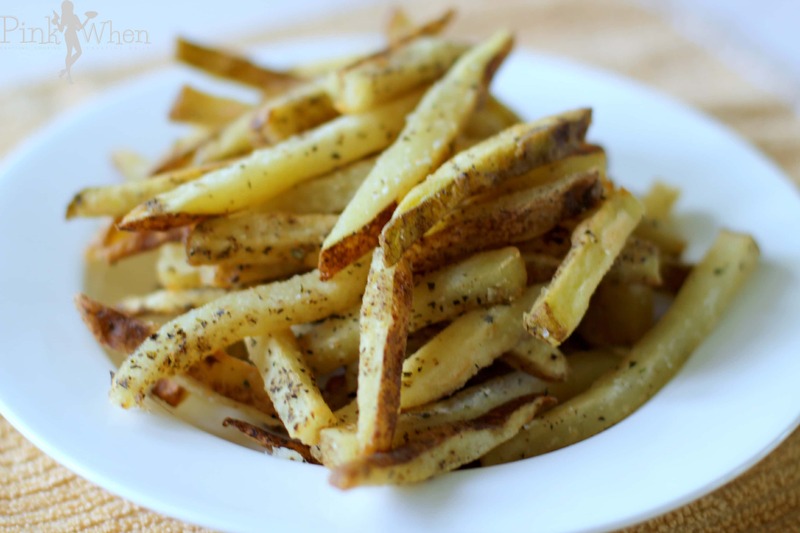 Not too long ago I was baking my fries, but with these delicious bites, sometimes you just have to break out the fryer. Step 1: Take your sliced fries and place them in a large mixing bowl. 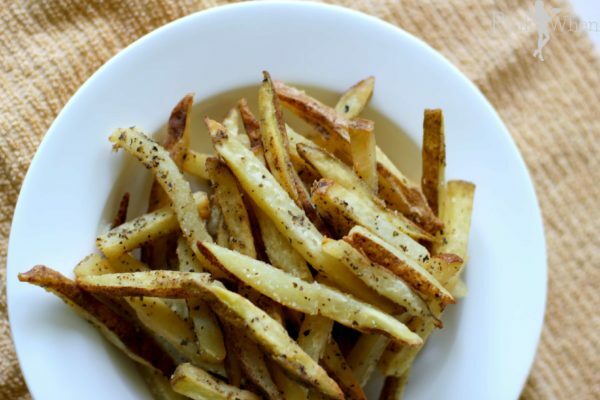 Add in your basil and garlic powder and mix well, coating them as evenly as possible. Step 2: Add in the flour and again mix well. Step 3: Heat up your vegetable oil and cook until floating on top and very lightly brown. Step 4: Remove from oil and place on napkins to remove excess oil. Then sprinkle with a dash of garlic salt and parsley to while still hot. Serve immediately. I love making this recipe, as it is always a nice favorite among friends and family. It may not be the healthiest recipe in the family cook book, but it sure is tasty! Cooking out is always a fun tradition in our family, and we always look forward to having friends and family over to share meals with. Sharing our favorite meals and spending time outside are always fun times. Do you like to grill out when the weather is warm? We have an extra large Big Green Egg (grill) so we are outside more times than not when we have beautiful weather. I am looking forward to Spring, being outside more, catching up with friends, and serving a few more Homemade French Fries. This looks so great I can’t wait to try. Thank you for sharing your recipe. Our grill broke last summer and I know my husband can’t go through another spring/summer without it. Heck, even fall. Ok, even winter. We grill on New Year’s Eve. 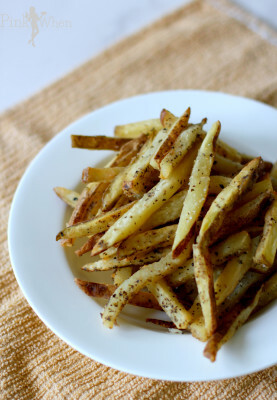 Anyway, homemade french fries ARE summer to me. It’s amazing, isn’t it? Seasonal foods? I love pasta salads and fruit salads..and french fries. Oh, and fried fish! Those look great! Love the herbs on there! Yum yum! I would love a pile of these with a big juicy burger after a run! These sound so delicious! Do you use dried basil or fresh?